Increase Resistance in your Workouts! Add a weight vest to your workout routine and improve your overall physical fitness! Weight vests create resistance for cardio, body weight, and strength training exercises, perfect for kickstarting your goals like gaining muscle mass, shedding body fat, and improving overall health. Take your vest to the gym, on hiking trips, or use it at home. 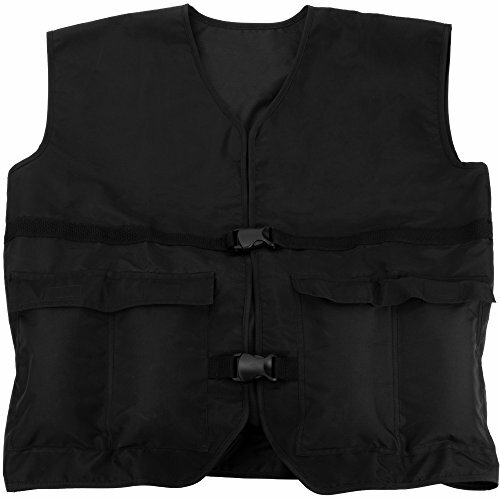 Our vests are made of strong, durable polyester fabric and fit comfortably. This vest comes in at 4 kg (8.8 lbs). It includes 9 pockets to add one pound weights. Weight vests bring intensity to a plethora of workouts, from cardio exercises such as running, jogging, and walking to body-weight exercises such as core training, pushups, and squats. Add extra weight into the pockets of the vest to build strength over time. Our vests fasten securely with enough breathing room to wear it for extended periods of time.